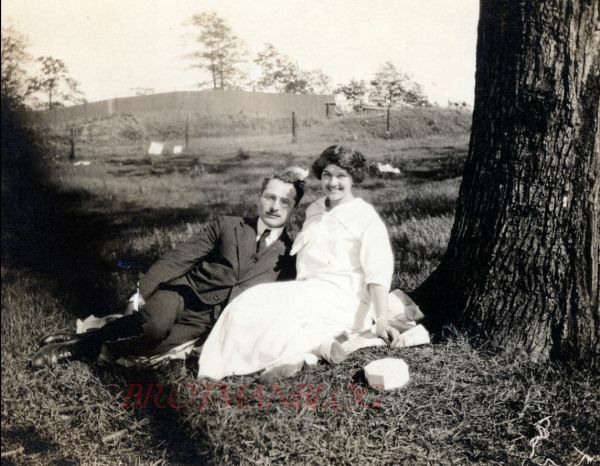 The Bensew Daughters, Roschen and Frieda: Who Was Mrs. Hon? 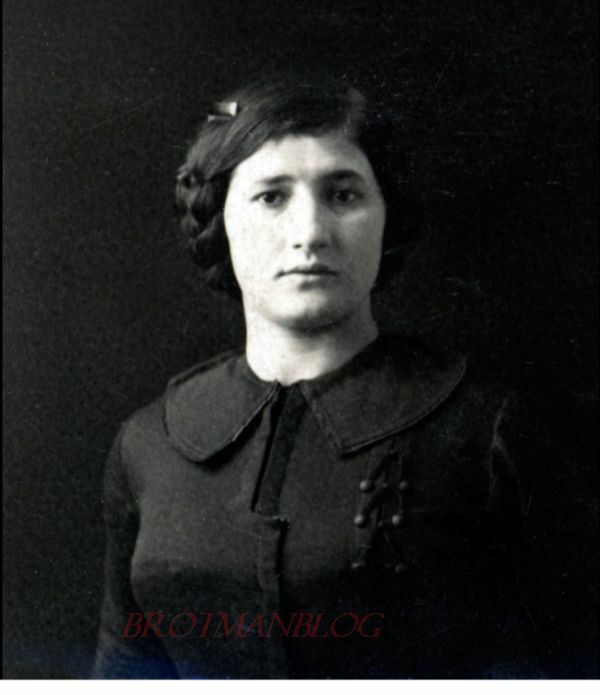 My last post covered the lives of the five sons of Breine Mansbach and Jakob Bensew: William, Lester, Julius, Heine, and Max. 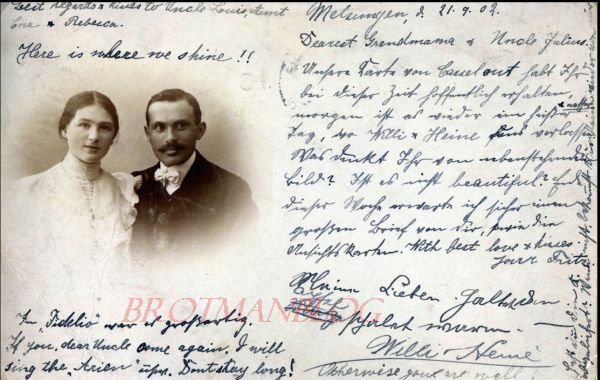 Breine and Jakob Bensew also had two daughters, Roschen, their first child, who was born in 1870, and Frieda, their last child, who was born in 1886. This post is about them and their families. 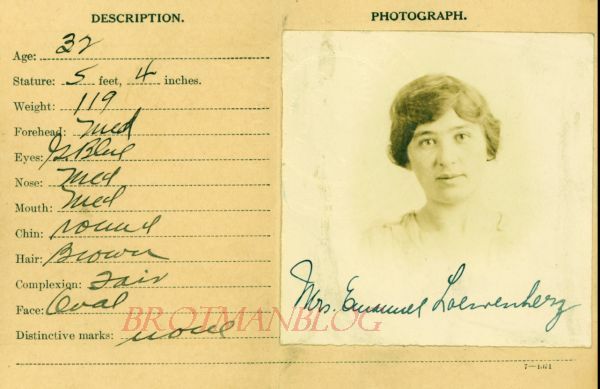 As we have seen, Roschen may have come to the US in 1890 with two of her brothers, but if she did, she returned to Germany where she married Josef Stern in 1899 and had at least two children born in Kassel, Alfred, born in 1900, and Edwin, born in 1905. 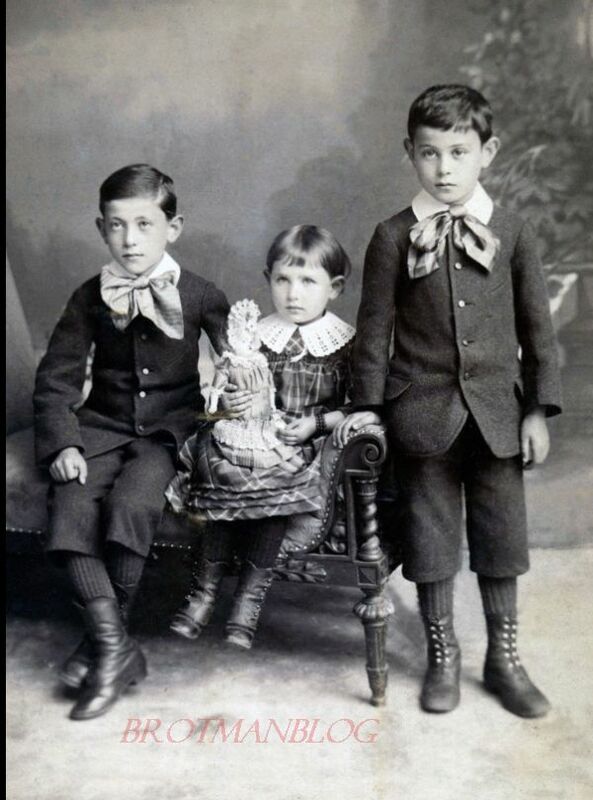 According to some researchers, Roschen and Josef had three other children, but so far I have not found any evidence of those children in either German or US records. And although I was able to find a death record for Josef, who died in Kassel, Germany on February 2, 1927,1 I’ve been unable to find a record of Roschen’s death. What I know about their sons Alfred and Edwin is that both immigrated to the US in 1937 to escape Nazi Germany. Edwin, the younger brother, was the first to leave Germany. He arrived in New York on January 6, 1937, listing his age as 31, his marital status as single, his occupation as merchant, and birthplace as Kassel, Germany. He reported that he was leaving behind his brother, “A. Stern,” of Berlin, Germany, and going to his uncle, “W. Bensev,” i.e., William Bensev, of Denver, Colorado. William was his mother Roschen’s brother. Edwin’s brother Alfred followed ten months later. He arrived on October, 1937, listing his age as 37, occupation as bank clerk, and birthplace as Kassel. The manifest indicates that Alfred was married and resided in Berlin, and he reported on the manifest that the person he was going to was his uncle, “J. 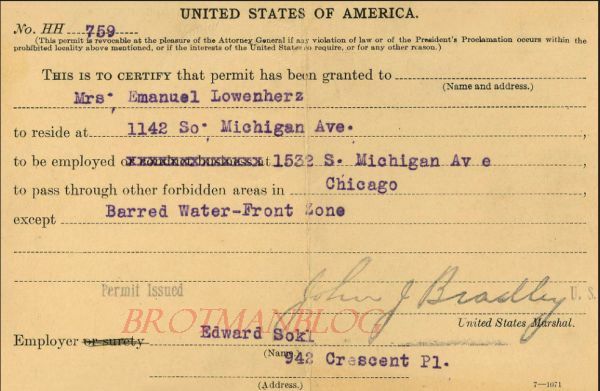 Loewenherz” of Winnetka, Illinois. I believe this was really Emanuel Loewenherz, who was married to Alfred’s aunt Frieda Bensev, his mother Roschen’s little sister. Alfred also indicated that the person he was leaving behind was his wife Rita of the same address in Berlin. But there was also a second name listed in the column for those the person left behind, a Mrs. Hon of Nice, France, identified as his mother. 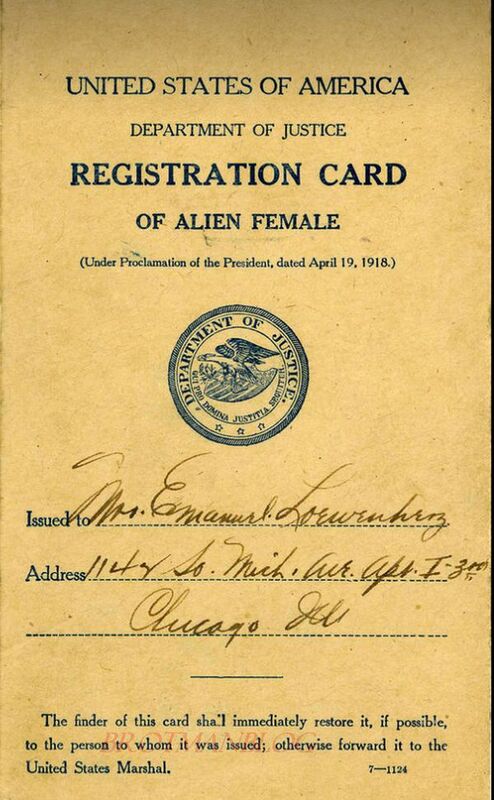 The form asks the person to provide the name of “the nearest relative or friend in country whence alien came or, if none there, then in country of which a citizen or subject.” Since Alfred came from Germany and was a citizen or subject of only Germany, supplying the name of someone in France would not have been correct. Is that why his wife’s name is written in instead? 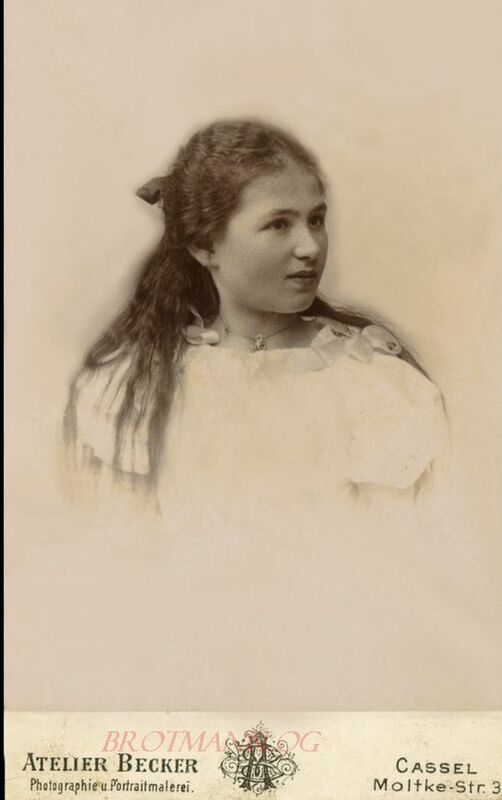 Was the Mrs. Hon in Nice, France, actually Alfred’s mother Roschen Bensew Stern? If so, I cannot find her. If anyone has any suggestions, please help! 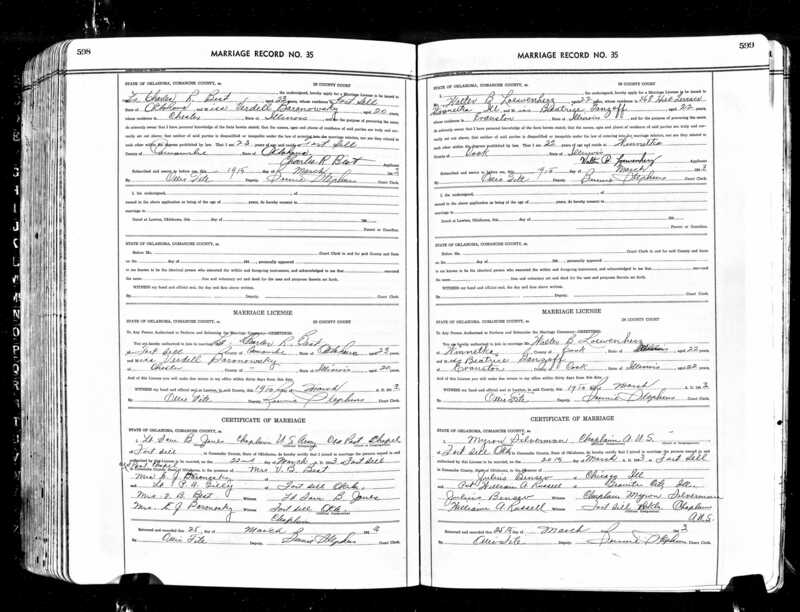 I was a little worried that Alfred had left his wife behind, so was relieved to see on the 1940 census that Alfred, Rita, and their three-year-old daughter Renate (later Renee) were safely living in New York City where Alfred was working as a clerk for the telegraph company. Rita’s mother Elizabeth Garde and sister Charlotte Garde were also living with them. 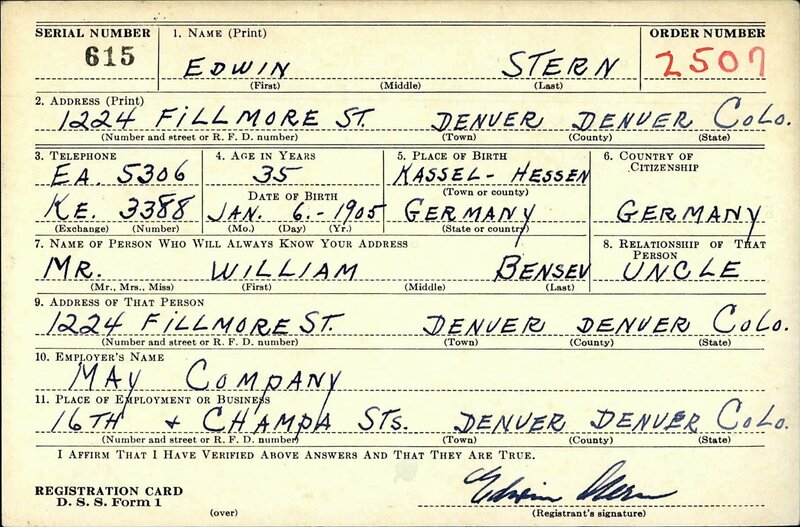 In 1942 when he registered for the draft, Edwin was still living with his uncle William and working for the May Company, the department store. Edwin served in the US military from May 1, 1942, until March 13, 1945.2 I unfortunately was not able to find out any information about Edwin during or after his service in World War II. He died on May 6, 1980, in San Francisco, California; he was 75.3 I do not know if he ever married or had children. Walter Loewenherz enlisted in the military on October 6, 1942.11 On March 20, 1943, he married Beatrice Ganzoff in Comanche, Oklahoma. Since Beatrice, like Walter, was a Chicago native and resident, I assume they married in Oklahoma because Walter was stationed there. According to his obituary,14 Walter Loewenherz became president of the K.W. 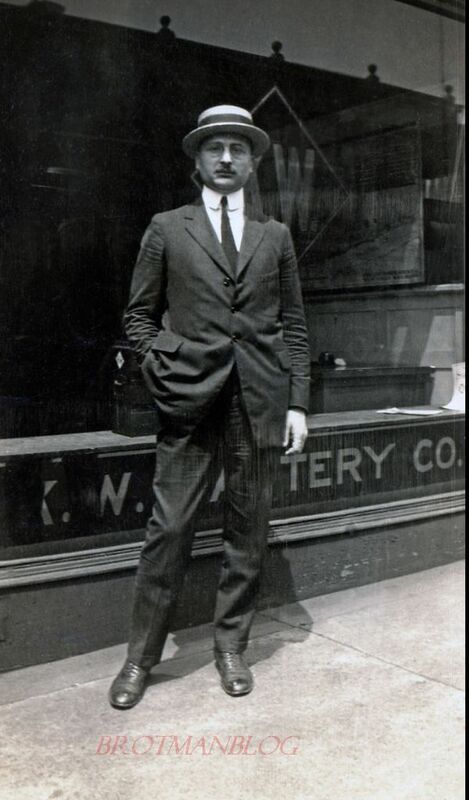 Battery Company, succeeding his father. He eventually moved to Fort Lauderdale, Florida. 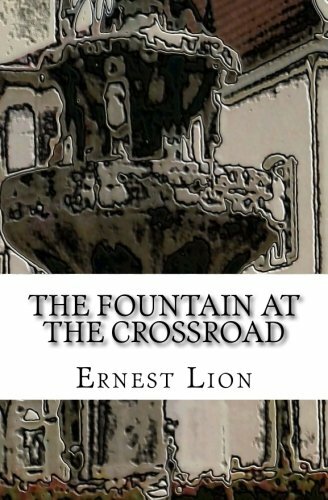 He was an active member of several civic and charitable organizations in both Chicago and Fort Lauderdale. He died when he was only 65 years old on November 16, 1985, in Fort Lauderdale. His wife Beatrice died on June 30, 2005, also in Fort Lauderdale; she was 84.15 Beatrice was quite an accomplished woman. According to her obituary, she was Phi Beta Kappa from Northwestern University and a Fulbright Scholar. She taught at Sunset Ridge School in Northfield, Illinois, and Nova Southeastern in Florida and was active in many civic organizations. 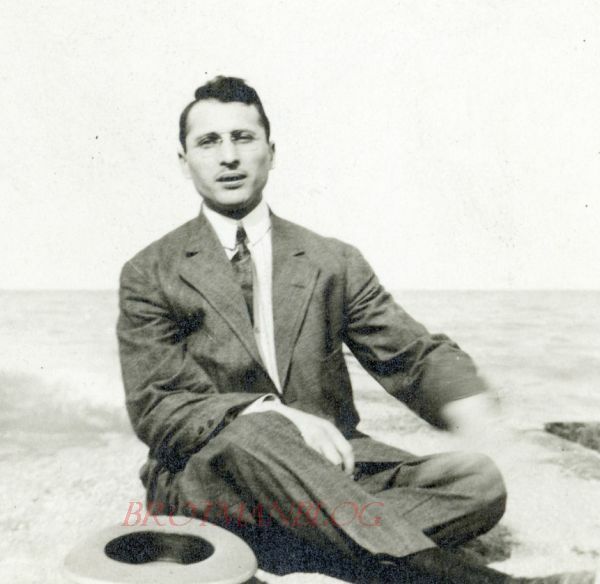 After retiring, Beatrice and Walter had lived in a sailboat off of St. Bart’s before settling in Fort Lauderdale, Florida.16They were survived by their four children. 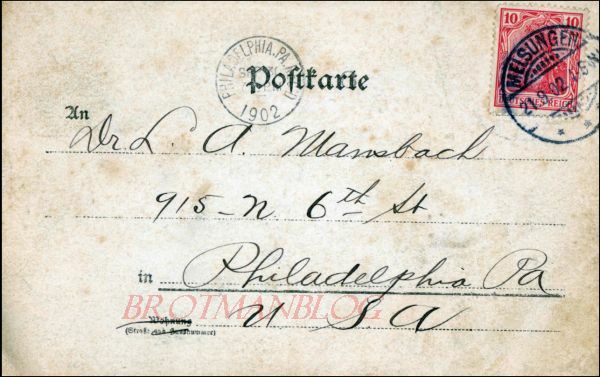 With this post, I have written about all the children of my three-times great-aunt, Sarah Goldschmidt Mansbach. 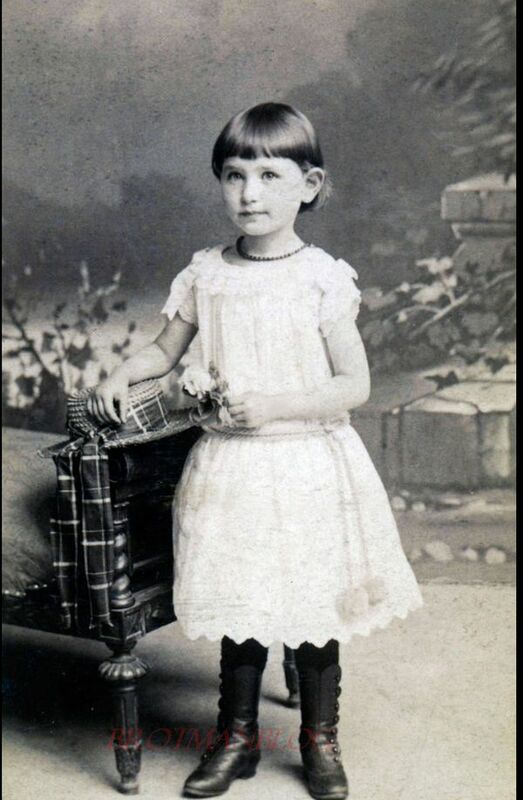 Moreover, I have now written about all the children of my three-times great-grandparents Seligmann Goldschmidt and Hincka Alexander except for the one child who never left Germany: Biele or Betty Goldschmidt. Her story comes next.